Airspeed Low Drag Electronics Pod provides a Military Off The Shelf (MOTS) solution. 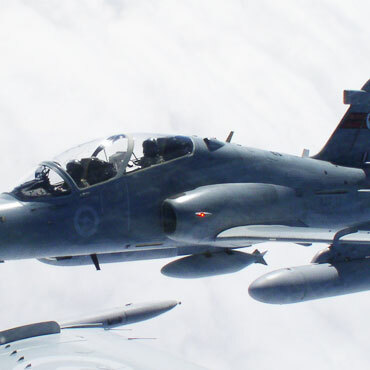 For military fast jets, turboprop trainers, Unmanned Aerial Vehicles (UAV’s) and helicopters. The pod offers wide carriage limits up to M1.5 and 735 KCAS. The pod is 94.9 inches (2410 mm) in length with a diameter of 15.6 inches (396 mm). Temperature, altitude and humidity testing demonstrated very effective performance. 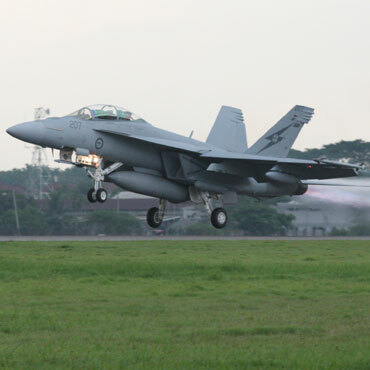 The Low Drag Electronics Pod has been rigorously and formally qualified to MIL-STD-810F. The Airspeed Low Drag Electronics Pod provides a Military Off The Shelf (MOTS) solution for the rapid integration of mission payloads on military fast jets, turboprop trainers, Unmanned Aerial Vehicles (UAV’s) and helicopters. Our Low Drag Electronics Pod is from the same stable of Airspeed pods that includes the Cargo Pod and Supersonic Camera Pod that have flown successfully on F/A-18, F-111 and Hawk aircraft. The pod offers wide carriage limits up to M1.5 and 735 knots calibrated airspeed (KCAS) with an avionics payload up to 200 pounds (91 kg). 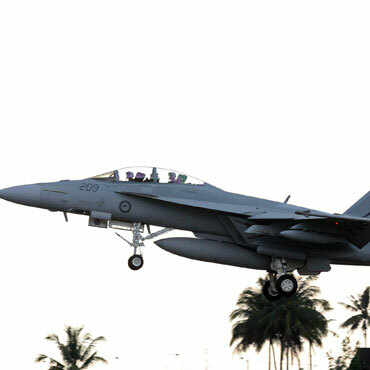 Design load factors up to +12 ‘g’ Nz have been considered in accordance with MIL-A-8591H. The pod is 94.9 inches (2410 mm) in length with a diameter of 15.6 inches (396 mm). Rather than a conventional metallic shell and forward-facing radome, the complete exterior of the Low Drag Electronics Pod is a composite shell optimised for low electromagnetic loss at frequencies up to 18 GHz. This design allows transmitting and receiving elements to be distributed within the pod architecture. Typical installations include a payload mounted on the electronics rack occupying the centre section with antennas and other sensors mounted within the volumes of the nose and tail cones. Submerged NACA intakes and exhausts provide cooling air flow to the upper surface of a removable electronics rack that is 43.3 inches (1100 mm) long. Heat is removed from the mission payload via conduction cooling and the cooling air flow is separated from the payload volume by seals on the side of the electronics rack, preventing ice, moisture and foreign particles such as dust and sand from entering the protected payload volume. 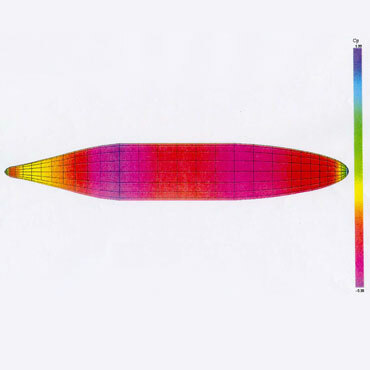 Temperature, altitude and humidity testing demonstrated very effective performance of the novel cooling design features of this pod, even during flight at high Mach numbers where total air temperature usually presents challenges for an air-cooled payload. …employing natural laminar flow principles to ensure that the carriage of the airborne equipment pod does not generate shock waves or affect the aerodynamic streamlines at adjacent pylon stations or aircraft structure. 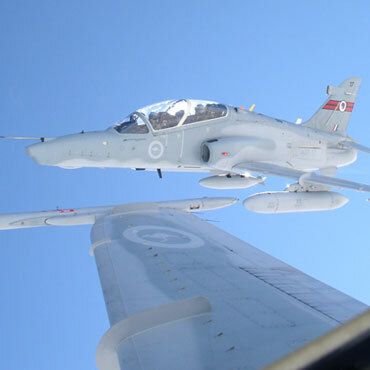 This avoids expensive requalification flight testing when, for example, the airborne equipment pod is added to an existing aircraft configuration including external stores such as ordnance and fuel tanks. …Blowing Sand & Dust, Salt Fog, Blowing Rain, Vibration, Tropical Exposure and Temperature, Altitude and Humidity. Copies of the test reports are available upon request. 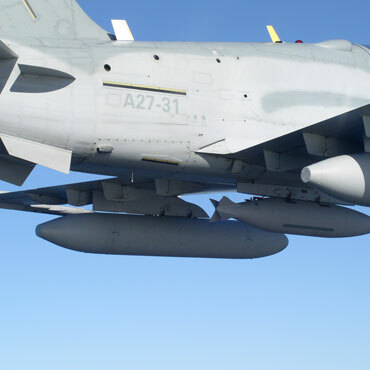 The Airspeed Low Drag Electronics Pod offers a low-risk, rapid integration path for mission-specific payloads on the broadest possible range of military aircraft. 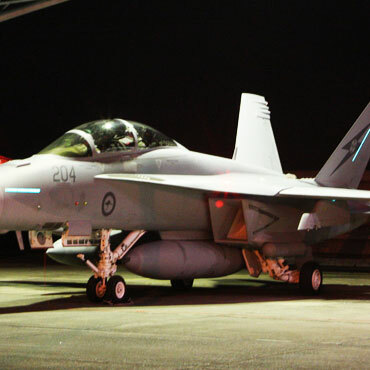 Compatibility Data Packages (CDP’s), fulfilling the requirements of MIL-HDBK-1763 and addressing all pertinent certification areas have been prepared for a variety of pod configurations and aircraft types including Boeing F/A-18 ‘Classic’ and F/A-18E/F Super Hornet, General Dynamics F-111, BAE Systems Hawk and Pilatus PC-9/A.